We provide the trade and public with the best quality stoves along with expert advice from qualified Solid Fuel Engineers. We give you the best value prices on stoves and all related chimney fittings, delivered direct to your door in just a few days. We are always happy to provide friendly free advice – just give us a call or email. Order online or call us during normal office hours to order or discuss your requirements. You are welcome to visit us to discuss your wood burning stove requirements and see our range of wood burning stoves. 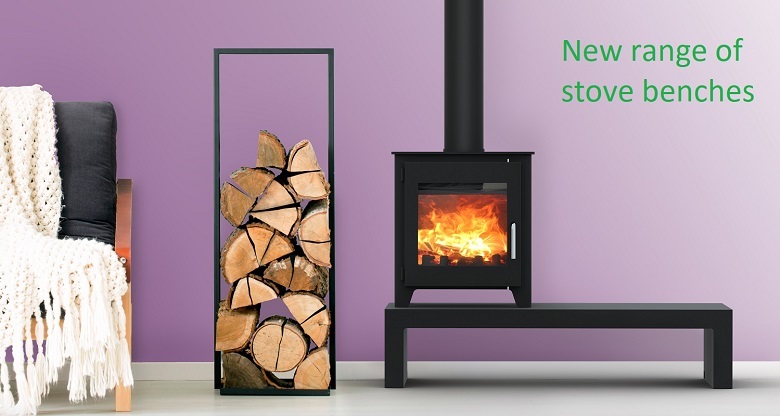 We have a great range of wood burning and multi-fuel stoves at amazing low prices. We sell Stoves Online as well as from our factory warehouse showroom. If you are looking for large wood burning stoves, small wood burning stoves, woodburning DEFRA Approved stoves for smoke-control areas, inlcuding the Ekol range of premium stoves, the new Saltfire ST range of advanced cleanburning stoves, and the Carron range in a choice of coloured enamel finishes, back Boiler central heating Stoves, Inset, hole-in-the-wall stoves, contemporary stoves or traditional stoves, we can help you at Saltfire Wood Burning Stoves. We stock all the installation parts you may require including enamel Flue Pipe , Register Plates , Flexible Flue Liner and insulated Twinwall stainless steel Flue for your chimney . Your stove will be rapidly delivered to you direct from stock to get your house toasty warm in no time. If you don't have a chimney that's no problem - we can design and supply a full twinwall insulated flue system for your house. We are also stockists of the Premium DURAFLUE 904 Grade Chimney Liner which has a 30 Year Guarantee. We can give general advice on Building Regulations answering the most common questions when you order a stove from us, or click here to see the current Building Regulations Approved Document J / Part J. For Spare Parts / replacement grates, baffle plates, new glass etc see our spares section here. See pictures of stoves installed by our customers here. To learn a bit more about stoves and flues please read our Stove Terms Glossary. and have a look at the Installation Advice Page. Helpful videos on how to use your stove here.